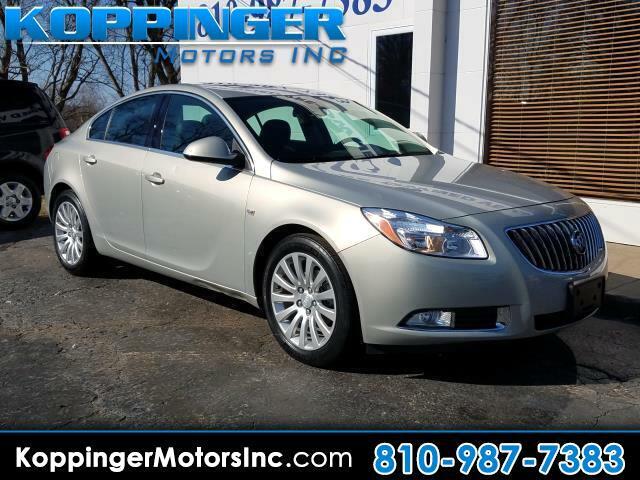 Used 2011 Buick Regal 4dr Sdn CXL RL4 (Russelsheim) *Ltd Avail* for Sale in Fort Gratiot MI 48059 Koppinger Motors Inc.
You'll start looking for excuses to drive once you get behind the wheel of this 2011 Buick Regal! This Regal has been driven with care for 48154 miles. It was cleverly designed with details that make every drive a delight, such as: blue tooth,leather seats,moon roof,mp3 audio input,power locks,power seats and power windows Visit us to learn how you can add this vehicle to your family lineup. Not finding what you're looking for? Give us your feedback.